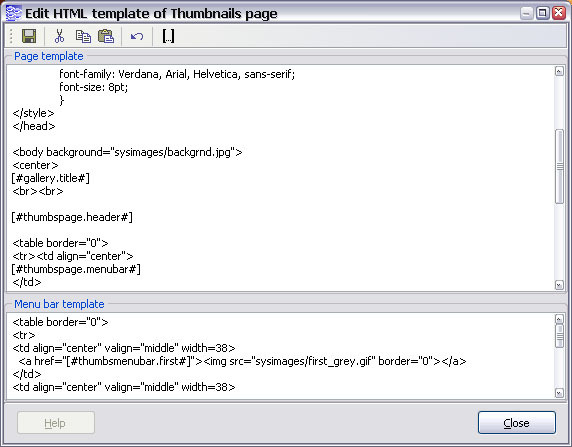 Cool thumbnail creating utility with built-in templates and powerful tools! 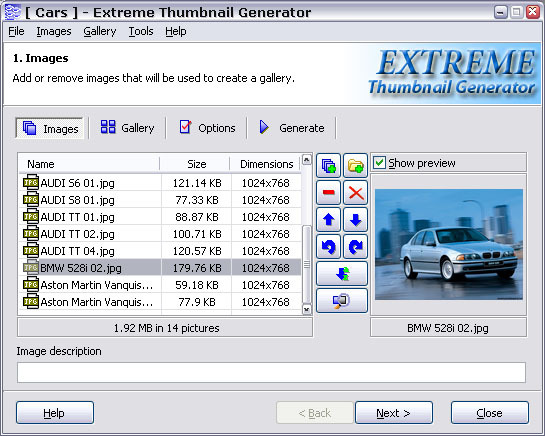 Extreme Thumbnail Generator is a powerful wizard-style tool for creating thumbnail image galleries. It will let you make beautiful web photo albums with just a few mouse clicks! Even if you know nothing about the HTML and image processing - the result will be outstanding! It is the best way to create attention grabbing online thumbnail galleries that stand out from thousands of boring look-alikes. This application is jam-packed with unique templates and powerful tools for creating vivid web photo albums. The program offers two major advantages. First, it does not require any special skills or knowledge, meaning that average Joe can learn how to use it within minutes, without having to read books about HTML and digital image processing. Program's wizard-like interface guides through the entire process step by step. 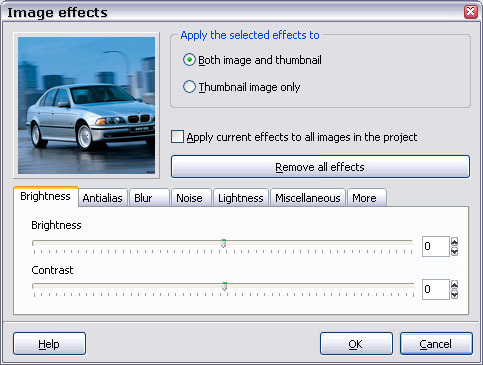 Second, it offers all necessary tools required by the professionals - straightforward interface, support for all common image formats (jpg, gif, bmp, tiff and others), customizable templates and image editing options. Image effects: brightness, contrast, saturation, emboss, blur, ect. 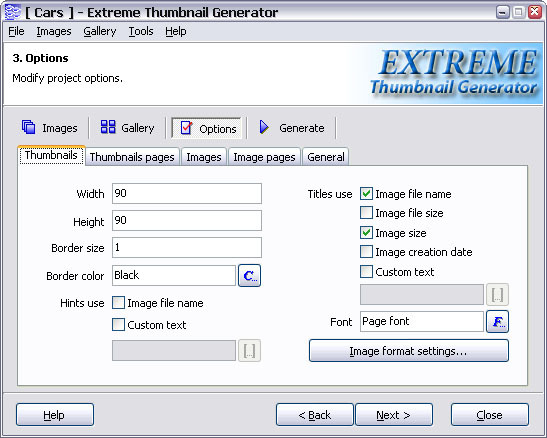 Image resizing and rotation and customizable thumbnail sizes. Exchangeable Image File Format (EXIF) support. Saving of Project Files so that you can go back and edit the specific settings for each gallery you make. Creating zip archives with all gallery files and Multilingual interface. 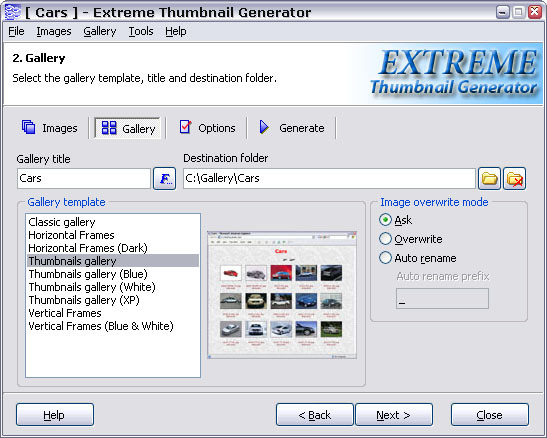 Extreme Thumbnail Generator - Cool thumbnail creating utility with built-in templates and powerful tools! Speedo Froogle Feed Generator Lite - It's never been easier to submit your products to Froogle.